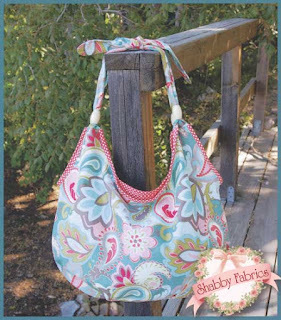 The Shabby | A Quilting Blog by Shabby Fabrics: Fun New Fabrics! Let's all just take a moment to enjoy, shall we? Aaaahhhh. 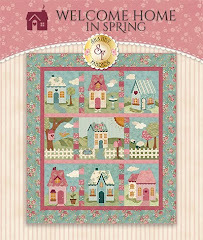 My first thought when seeing these fabrics was SUMMER! We all need a new summer tote bag, don't we? 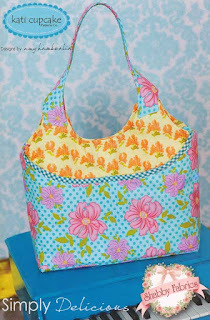 Can you picture the purple stripe in the Julia Bag with a polka dot interior? Or, how about mimicking the colors shown in the aptly-named Simply Delicious Bag by using the aqua on the outside with a bit of the citrus peeking through? Can't choose your favorite? 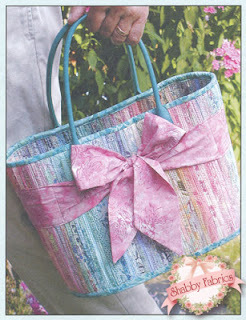 Use all of the colors and create the Bow n Go Bag! 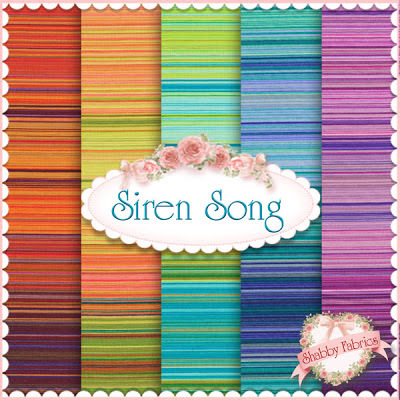 Siren Song FQ Set - just $16! 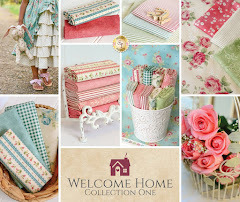 How would YOU use these great fabrics?